Breathable material that is very comfortable to wear, available in anthracite, black and high-visibility orange. Tested cut protection in accordance with EN 381, freedom of movement in the seat and crotch, kidney protection, thorn protection both on the front and rear part of the leg area. Ventilation material on the back of the upper thighs. KWF Utility Value test currently pending. 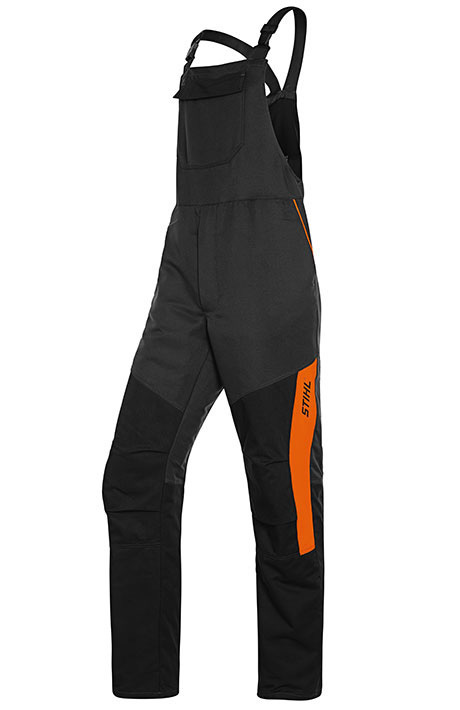 Overalls, protection class 1 (=ˆ 20 m/s), size 44 – 64.